Anticipatory anxiety is a struggle for many people. Often we see things like catastrophizing when people experience anxiety about upcoming events. 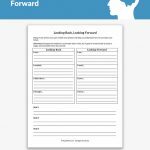 When it comes to anticipatory anxiety the thought of the worst case scenario is enough to have a patient be overcome with worry, which will sometimes affect performance and their mental and emotional health. That’s why it is important for a patient who has a tendency to catastrophize or experience anticipatory anxiety to be able to rationalize their expectations with the evidence they know to be true. 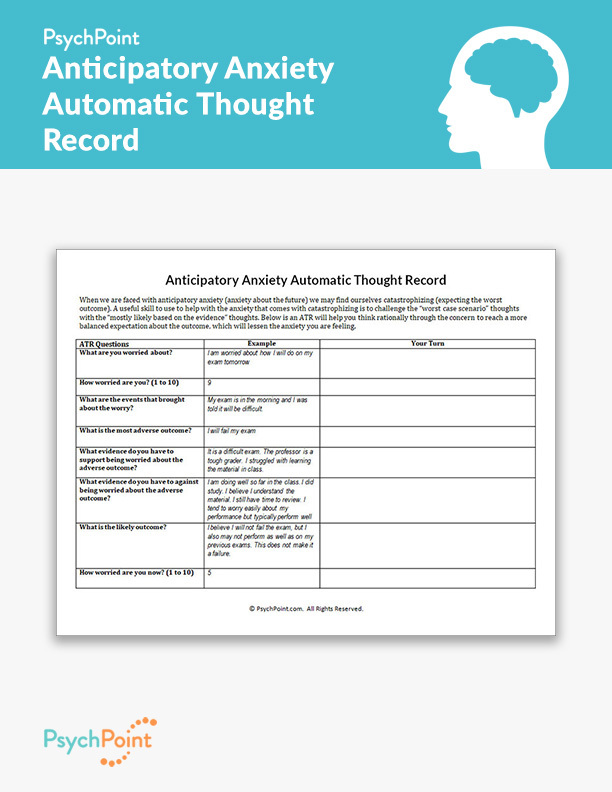 This ATR walks patients through their worries and brings to light their active catastrophizing tendencies. 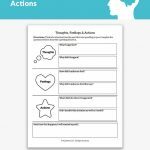 This worksheet serves as great practice for breaking down cognitive distortions, anxiety reactions, and triggers. It also helps the patient see and understand how their anxiety affects how they make expectations about the future. It first asks the patient to identify the worry, rate the worry on a scale to one to 10, and identify what triggered the worry. It then has the patient list the evidence to support and not support the expectation for the most adverse outcome. Finally, after working through the worry with a logical break down of what the patient already knows, the patient is asked for the most likely outcome and asked to re-score their anxiety.